We all want more participation in our silent auctions don’t we? After all, participation should equate to more revenue. Historically, auction managers and auctioneers would implement “games” to drive participation such as “7th bidder on each bid sheet is entered into a prize drawing,” or classics like “Heads or Tails.” An engaged audience is one that is likely to bid. The idea of integrating games or elements of games into an non-game activity in order to increase participation and engagement is called “Gamification.” This strategy became really popular about 6-7 years ago when businesses started to explore ways to get more users to engage with their products. 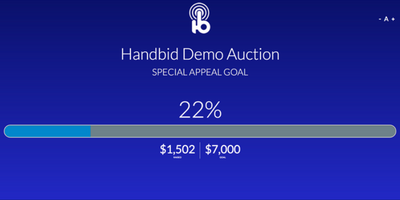 Around this same time, we built Handbid with the same gamification approach in mind; all with the intention of driving deeper bidder participation and engagement in auctions. So how does it work? 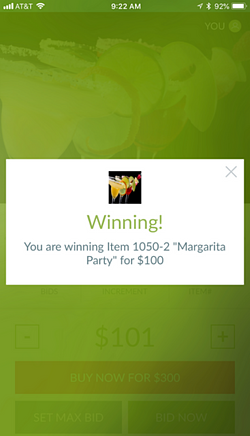 This article will outline the general theory of gamification and explain how it can apply to a silent auction. What are the elements of Gamification? There are two basic components of gamification: the actions (mechanics) and the resulting emotions (dynamics). Game mechanics include things such as: points, levels, leaderboards, challenges, gifts, timers, while dynamics include results such as: rewards, status, achievement, self-expression, competition, altruism. The idea is that a game mechanic (action) will drive a game dynamic (emotion) from the user. For example, points result in awards, levels drive status, challenges result in an achievement, leaderboards promote competition, and gifts result in a feeling of being altruistic. The premise is that users are motivated by the game dynamics and are willing to engage with the mechanics to get there. Just look at frequent flyer programs as an example. Those who love travel often compete for status by racking up “points” or miles in order to reach a certain level (Elite, Platinum, etc.). Levels give them status, and status gives them a sense of accomplishment. For those who sit at the gate watching the First Class upgrade list, understand that they are essentially looking at a leaderboard. All of these their miles, different statuses, and other elements drive more engagement with the airline. So what does this have to do with auctions? The same principles apply here. Auctions can and should use game mechanics to drive certain dynamics. Handbid has been carefully engineered to include each of these elements and more into the platform to generate the same effects with bidders. 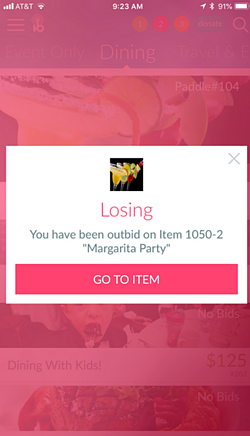 We understand that the purpose of an outbid notification is not just to tell the user they were outbid. We want to invoke an emotional response in the user through vibrating the phone, changing the screen color to pink or red and playing a sound. While we want it to be “fun” and we also want the bidder to feel challenged to respond. Our countdown timer has a similar purpose: get bidders connected and engaged until the end. Here bidders are competing against both other bidders and the clock. The clock generates a sense of urgency as well as an agreed-upon endpoint for the bidding. This mechanic plays into the bidder’s desire to win AND be the last bid entered. Finally, leaderboards or thermometers that showcase who is the top bidder, or who has the most bids establish a bidder’s status, achievement against the competition, and generosity. Used properly, these tools can not only drive more engagement in your auction, they will increase your overall auction revenue. We have been talking about games in this article, and that may lead you to question the seriousness of this topic. After all, games are for play right, and you have a serious task at hand: raise more money through your auction. But we urge you to take a different perspective: games are BIG business because they drive human behavior in predictable ways. Why not apply that to your auction fundraiser? 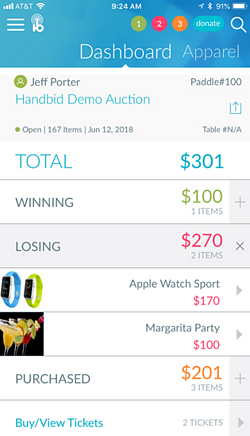 Ready to learn how to gamify your next silent auction with Handbid? Reach out to us and we can show you how it works!